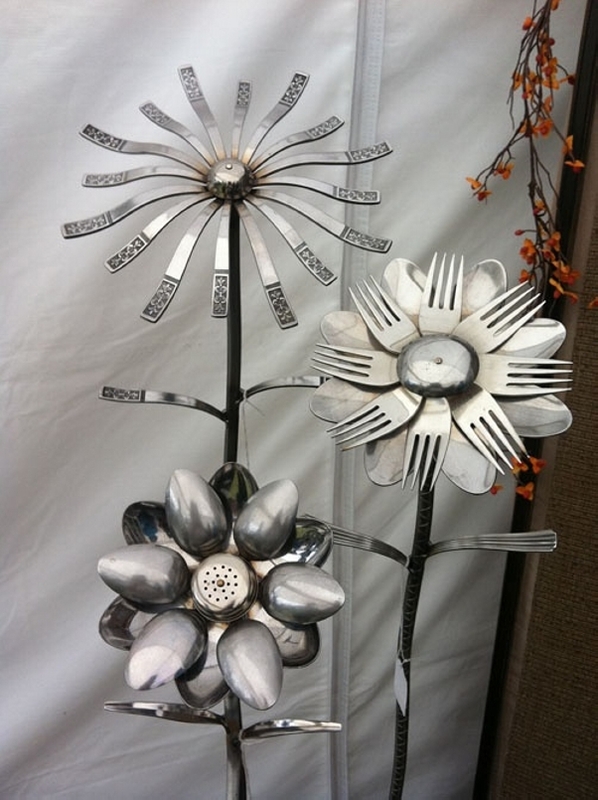 Whenever it comes to the kitchen and dining accessories, your cutlery counts the most. We buy them with great love and care, we spend large amounts on them while buying some branded cutlery set. But ultimately there comes a time when they been deshaped and rustic, then we just have to replace them with a new set. So now arise the question that what exactly to do with the older ones? Just trash them away? Well, to a crafter like me this sounds something impossible. I can’t just let them go in the waste material. Then what? 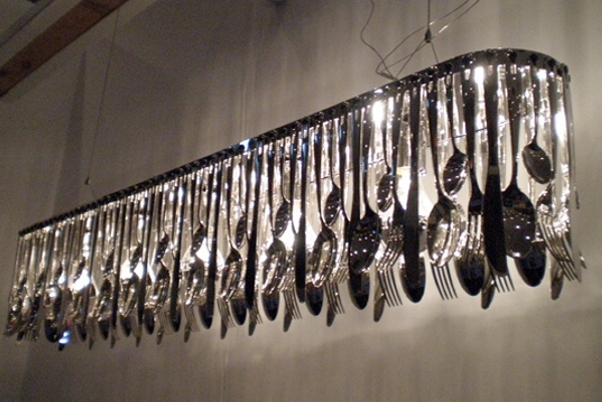 Just think to upcycle the spoons, which would be a great idea man. 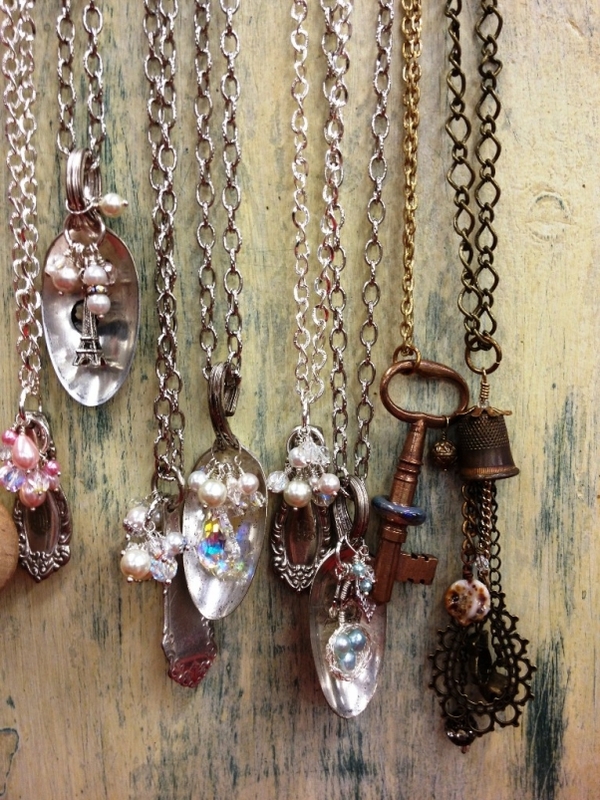 Are you fond of some crazy jewelry items like some scary pendants with a skull that rappers put on? 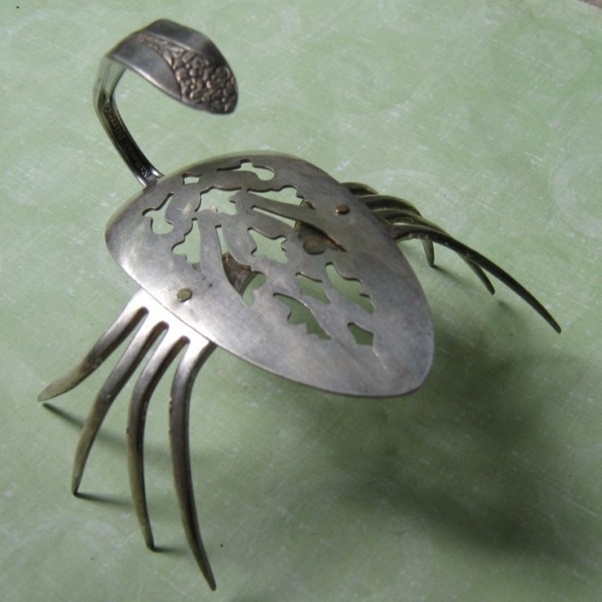 Instead of finding such items on the jewelry shop, try making them at your own with the same metallic spoons that we are determined to recycle here. 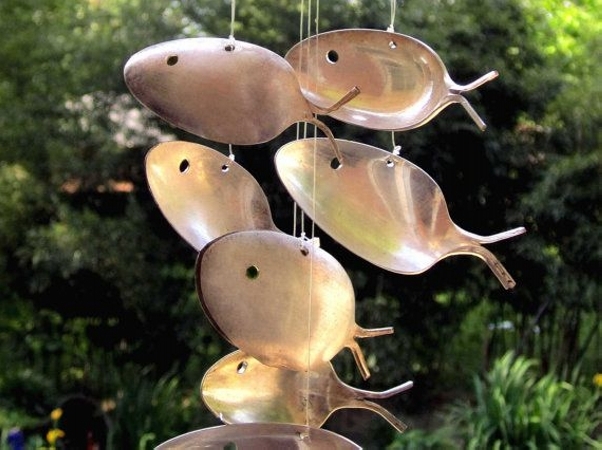 Chimes are one of the best embellishments that you can use inside your home. 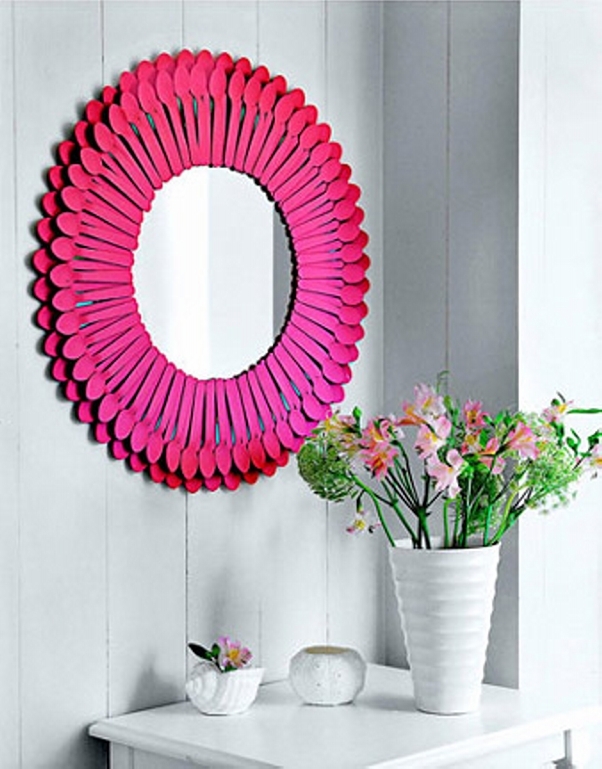 They date back to centuries long period since they are being used as a prime object in the home interior. 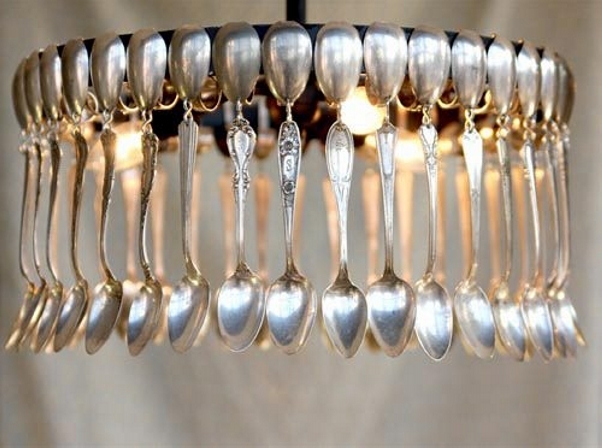 Don’t always follow the trends, but become a trend setter by recycling this spoons recycled chime for your house. 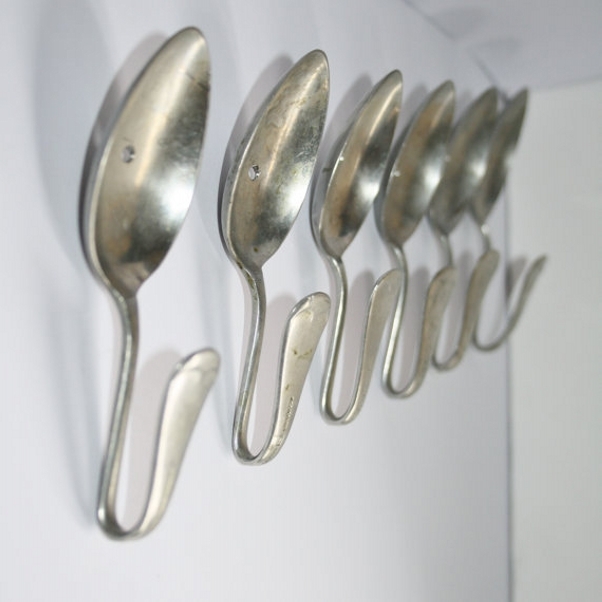 The moment we have decided to recycle the metallic spoons, we must be prepared and equipped with certain tools like cutters and molders as dealing with these strong metallic spoons isn’t that simple. 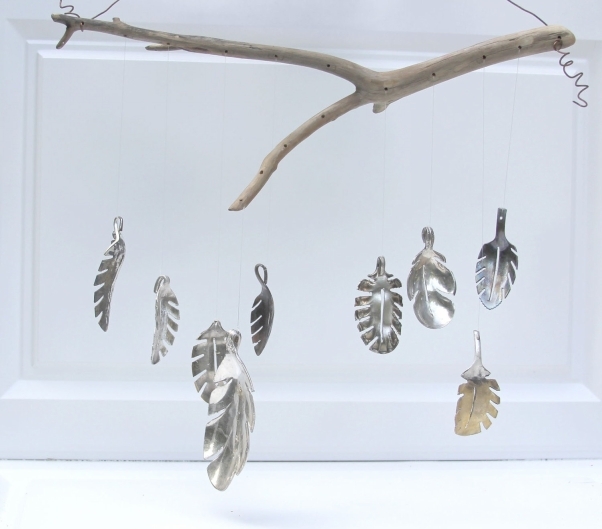 Try making these recycled leaves hanging on a branch of tree hanging inside your patio. Making caricatures with spoons would totally be a new experience. 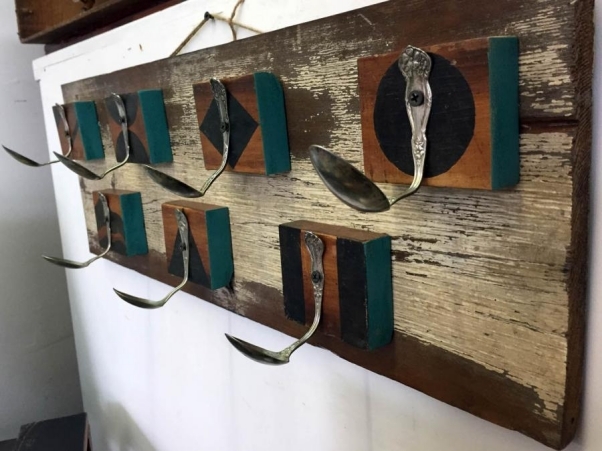 All you have to do here is to cut the spoon handle, split the ending stripe of handle in two pieces, pierce a hole that looks like the fish eye and that’s it. You are all done. 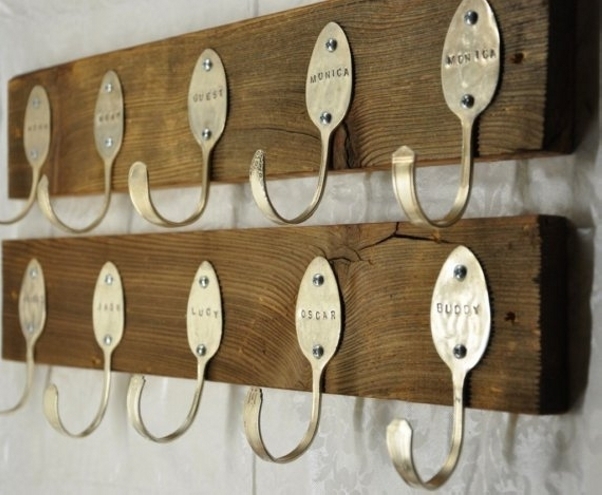 While making some wooden pallet upcycled racks, arranging for some appropriate hooks has always been pretty challenging because we can not go for regular market based hooks as it would ruin the artistic look of the product. 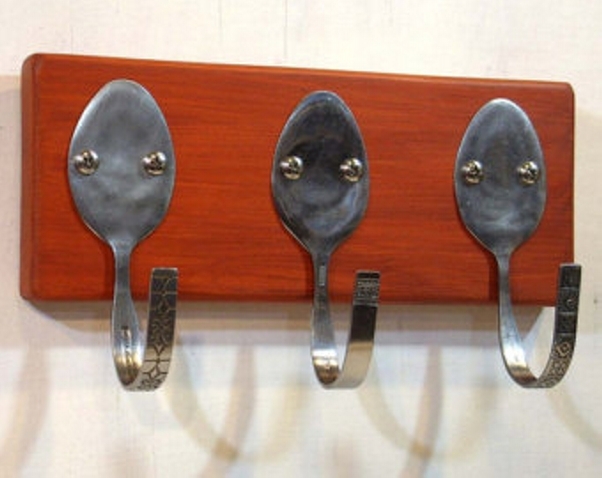 Try these recycled spoons here. And trust me it would literally escalate the artistic look of your recycled project. Chandeliers are a great lighting installation which can also be rated as a prime decoration piece inside your home interior. 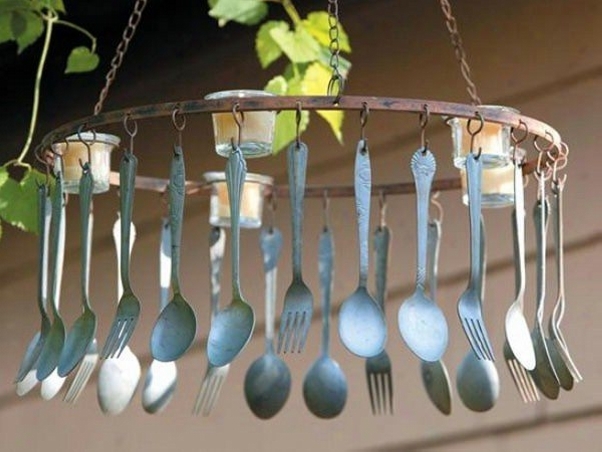 And if you have got the artistic taste and also some basic skills of recycling, try recycling this chandelier using the spoons that are no more in use. Key holders are another important installation as they set us free from the tension of finding the keys in the hour of need. 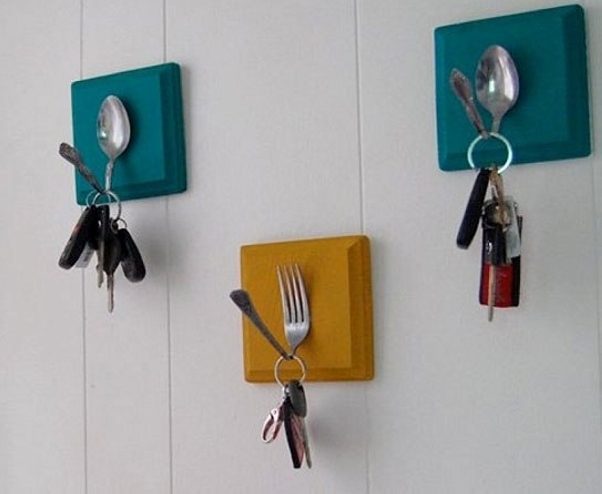 I was the one who was always looking for the keys here and there, but I think getting installed these spoon recycled holders would just fix the issue for me. What is your star? Mine is cancer. I hope there are many scorpions too reading my article, here is a present for them. Recycle this scorpion caricature just to show their star, this would definitely be crazy way of showing their star.